Excess inventory occurs when a merchant orders an inaccurate supply of inventory (too much). Excess inventory can also result when the demand for a product unexpectedly drops so that the business is left with more product than can be sold. 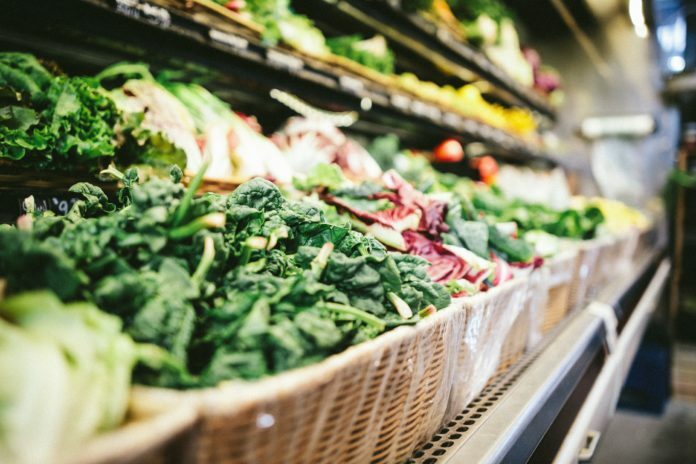 This is a problem many merchants face – and can be especially problematic when it comes to perishable produce like fresh fruit, vegetables, and quality meat and seafood. Wasting money, food, and shelf space is an issue that can be avoided (read more about how to properly track inventory here). However, if like many merchants you find yourself in an overstock situation, we outline some practical suggestions below. Competing (or limited) Shelf Space. Excess inventory takes up space. As a grocer or small business owner, you need to be able to introduce new, better products into your system to appeal to your customer base. By having excess inventory taking up space on the shelves, you’re preventing better (more valuable or popular) products from being available on the floor. Reduction of Profits. If you have too much of one item, you’re probably going to have to put the product on clearance to get rid of it! This will reduce your bottom line so that you are spending more money on buying this product than you should be. Competing (or limited) Storage Space. Not only will the excess inventory be taking up space on your shelves, but it’ll also take up space in storage! This usually comes with storage costs as you may have to expand your storage space to account for the excess inventory. Waste of Inventory. The biggest problem with fruits and vegetables is that they are perishable or can expire. They will go to waste if you have too much of it. In this case, you will have to throw the inventory away and will not be able to make any profit on it. There are some advantages to holding abundant inventory. Having more inventory means that it will always be available should customers request it (it’ll have a high fill rate, so orders are filled as soon as they are put in), this product will have higher safety stock levels, and suppliers usually give discounts for products purchased in bulk. While these advantages do exist, having excess inventory is generally disadvantageous, and overstock much is dealt with as soon as it happens. It is better to have systems in place to collect data so that you are able to order the correct amount of inventory to fill customer needs – rather than over or under-stock. You can read more about that in our “Inventory 101 post”. What do I do with excess inventory? Reduce price on overstocked items. Offer a promotion or sale. Use your customers to help to get the item off the shelves by selling the product with a discount. Get your customers interested in the product. Everyone loves free food! Give your customers food samples and ask them to taste the product. This will not only show customer appreciation but also be great for customer service and engagement. You can even do giveaways of products to incentivize customer loyalty. Cook the produce! Prepare some food USING the overstocked ingredient, even featuring it. This will not only incentivize your customers to buying the overstocked product (they can try to make the recipe themselves!) but also get rid of excess inventory without substantially cutting profits. Return the product to the seller. Some shipment agencies will allow you to return a product for a refund on a percentage of the cost. Some will allow for returns with payment of shipping costs. Take advantage of the manufacturer or shipper’s policies and keep your stock level maintained. Discount the product by including it in a package deal. Group this product with other products to give customers ideas on how to use the product, as well as create bundles and sell other products. Sell the product to other retailers or trade products with other retailers. Aldi buys overstock from Trader Joe’s and other outlets as secondhand produce, and restaurants buy meat that’s still good but doesn’t look as bright red as customers expect. Liquidate the product. Sell your product to an online marketplace or to a company that will liquidate your items. Give the food to a charity that collects food. Charities like Hungry Harvest or City Harvest “rescue” your produce so that it doesn’t go to waste, and distribute it to people in need. This can also be a great marketing point for your business, as well as tax deductible. Finally, DON’T let the product go to waste! Produce can be good for the environment, and even useful as fertilizer (old coffee grounds for growing tomatoes). Find a way to make the product be of use to your business, customers, or the environment, and use your creativity to make the product usable! How to avoid collecting excess inventory in the future? Figure out what went wrong. Are you paying attention to customer needs? Are you closely managing your inventory using real-time or digital software? Do you need to hire a stock controller? Make sure you have all of the answers to these questions while buying inventory the next time around. Use inventory management software to assess supply and demand for your product. Work with the vendor and use your own inventory management software to assess a product’s historical sales. Use cloud-based inventory management software like Square Retail to forecast demand for the product from previous sales. Assess your customers’ interaction with the product and place orders strategically. Keep track of which products are more popular among customers, what comments customers make as they are buying specific products, and which products need higher quantities because of their popularity. Use drop shipping with a wholesaler or manufacturer. A wholesaler may be able to send the item directly to the customer!  Check with your manufacturer to see if this option is available for you, as well as if this works for your specific product. Create stronger connections with customers. Create and maintain strong relationships with your customers so they continuously return to your business or service and continue buying products! This will ensure more accurate predictions for the forecasted demand of the product, as you will be working with the same customer base every time. Reach out to Mercato’s helpful team for recommendations and advice on these or any other questions. Mercato is here to assist.